According to a member of the NeoGAF forums, Super Smash Bros 4 for the 3DS file size is 2.1GB. 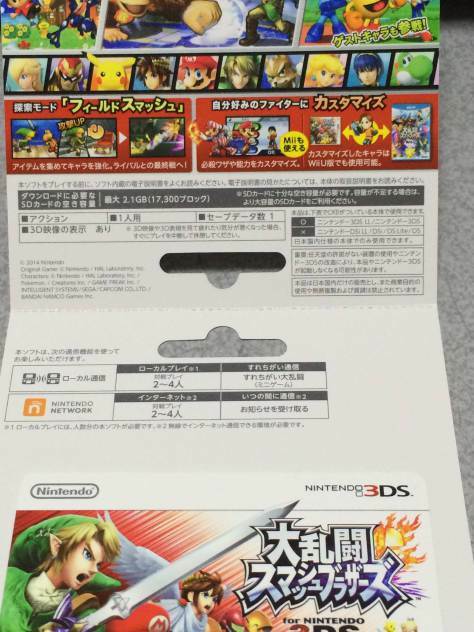 The member posted a picture of the Japanese packaging for the game. I personally cannot wait for this game to come out. Super Smash Brothers 4 for the 3DS will hit store shelves on October 3 2014, until then continue to enjoy brawl. Also this is around the same file size for other 3DS games.